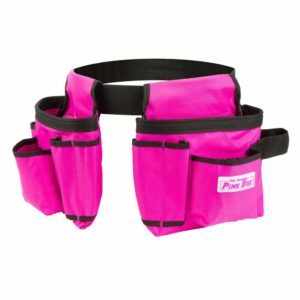 Are you searching for the best women’s tool belt? We’ve done the research to identify some great women’s tool belt options to meet a variety of needs. One of the main issues many women face when shopping for tool belts is finding belts that will fit properly. Since most belts are designed for men, smaller women can have a tough time getting a belt that isn’t too big. All of the belts in our list are adjustable to accommodate a range of waist sizes to eliminate this challenge. 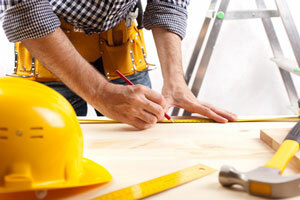 Once you know that a belt will fit your waist, the best belt for you will largely depend on the type of work you do. Our list includes options with all of the bells and whistles alongside more basic belts. 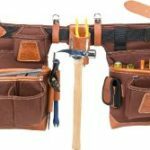 Whether you work construction, are a DIYer, or just need a tool belt for light work around your house we have found options that will work well for those purposes. We’ve organized a summary of our standout tool belts for women in a comparison table below so you can quickly get a sense of the rating, material, size, and cost for each one. Read on below the comparison chart for the specifications, details, pros, and cons of each individual belt. The Custom Leathercraft I370X3 Heavy Duty Suede Work Apron has a place for just about everything. The apron has 4 main pockets and 3 smaller pockets that can fit small tools, such as pliers. It also has a center pocket meant for holding a tape measure and a steel hammer loop. The belt is 2 inch wide poly web and has a quick-release buckle. It is also adjustable to fit waist sizes between 29 inches and 46 inches. 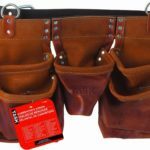 Functionality and accommodation for many different sizes are the reasons we view this as one of the best women’s tool belt options. One downside to this option is that it is very stiff before it gets broken in. This means it can be slightly uncomfortable to wear at first and the pockets are a little too tight. 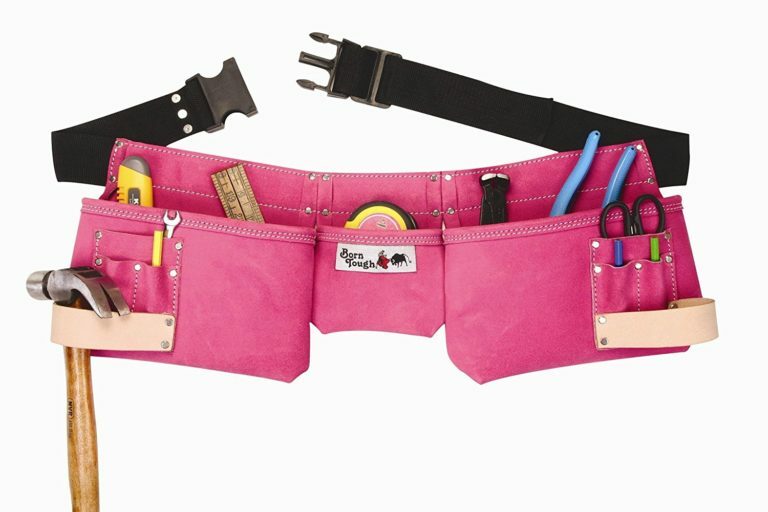 The Original Pink Box Tool Belt allows you to get your work done in style. Featuring 10-pockets and plenty of room for all your necessary tools, you can get the job done and look good doing it, too. The hot pink coloring of the belt provides and an eye-catching feature that any female laborer will love. It is a comfortable, adjustable belt that features a roomy design that is perfect whether you are a framer, carpenter, or an electrician. 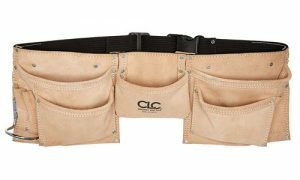 This incredible tool belt works best for a variety of lifestyles. If you are a woman looking for a tool belt that can store your hair stylist tools, garden tools, or art and craft supplies, this is the one for you. The Original Pink Box Too Belt offers a 4.5 out of a 5-star rating. Although even unhappy customers seemed to like the belt, they were a bit disappointed by the lack of strength. 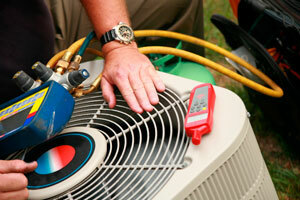 Some customers reported fraying within the first few weeks to the first few months. 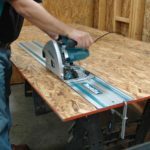 However, the really low price of the tool belt combined with its storage capabilities seemed to make up for any durability or quality issues. If you’re looking for convenience, durability, and style all rolled into one excellent package, the Born Tough Suede Leather Women’s Pink Tool Belt is just what you need. The tool belt, or apron, features 9 incredibly roomy pockets to help keep all of your necessary tools and supplies within arm’s reach. 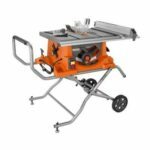 Whether you are working in your garden, around the house, or in the garage, you want something that is durable and capable of keeping up. 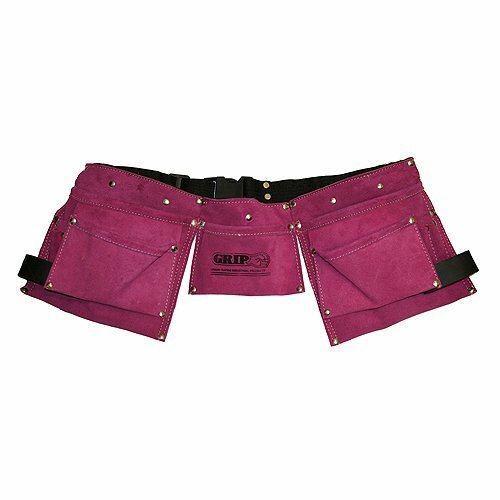 Of course, those are just some of the many benefits you will enjoy when you purchase the Born Tough Suede Leather Women’s Pink Tool Belt. 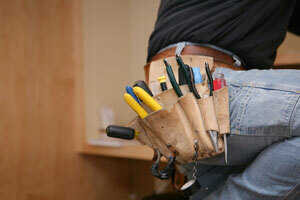 This Born Tough tool belt shows that you are more than tough enough to handle whatever hardworking job comes your way. Do not let the pink coloring of the belt fool you. It is plenty strong enough to keep up no matter the kind of work you do. Many customers report that the pink dye on the suede material tends to bleed, stain, and rub off onto hands and clothes. 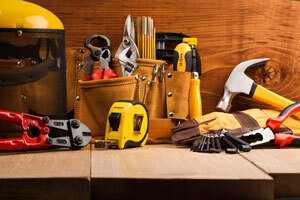 Therefore, you may want to take care when wearing your tool belt. Make sure you do not wear anything that you wouldn’t want to be stained. Additionally, one customer reported that while this seemed to be a decent quality belt, the leather appeared to show signs of wear quickly. Another customer reported issues with the webbing falling apart near the buckle. 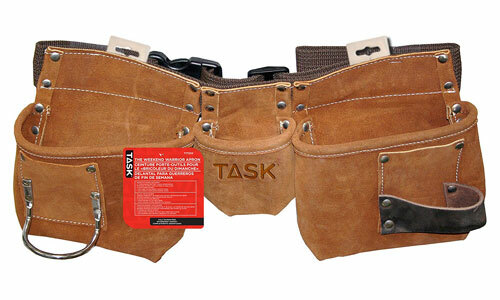 The Task Tools T77250 Weekend Warrior Apron with Polyweb Belt is a versatile option. With 5 various-sized pockets and 2 hammer holders, this belt can hold everything you need. Other than the handy pockets and holders, this belt made our best women’s tool belt list due to its wide-ranging adjustable belt. The sizing is adaptable between 30 and 45 inches, enabling it to fit women of nearly all sizes. The polymer belt is 2 inches wide and features a convenient quick release buckle. While most people find that this belt is good quality, one downside mentioned in reviews is the buckle can be finicky. If you are looking for a simple, yet stylish female tool belt, the Grip Women’s Pink Leather Tool Belt is the one for you. Although it does not feature as many pockets like the ones mentioned above, it is perfect for simple everyday use. For instance, this tool belt is the perfect companion for small jobs around the house, in the garden, and in the garage. It is also an excellent choice if you are looking for convenient, easy access to some of your art and craft supplies. Some known drawbacks associated with this tool belt include dye transfer and durability issues with the nylon belt. Eventually, you may want to look into swapping the nylon belt with something different. Additionally, make sure you wear clothes that you do mind staining as there are issues with the pink dye rubbing off onto clothes. 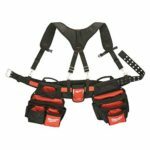 Overall, each of the women’s tool belts mentioned above offers incredible benefits. If you need something that offers quality, convenience, and easy access to all of your tools and supplies, any of the tool belts mentioned above will work for you. 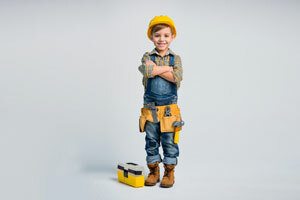 If you are looking for a tool belt for your kid, click here to read reviews and make a selection!